Jean du Plessis’ author page on Wayist Publishing, contains links to all works, bios, and press releases. This page provides a brief look at the author. Jean du Plessis is a professional pneumatologist (student of spirituality). He works as a teacher, coach, and counselor. Jean is author and editor of several books, blogs, and web sites. Born and raised in South Africa, he now lives in Ontario, Canada and Siem Reap, Cambodia where he conducts spiritual tours and training in spirituality and mysticism. Additionally, Jean conducts seminars in Cambodia for the benefit of Christian ministers to bridge to the new awareness of Christ’s universal compassion and parousia. Jean also presents induction courses for Wayist ministers and leaders at locations in Cambodia and Canada. Jean’s career as an advocate for reasonable spirituality started in South Africa, in 1967, at age eight–when he first heard that the Three Wise Men from the East attended Jesus’ baby shower, but afterwards never called, or even bothered to check in on him again. Resulting troubles of the ecclesiastical kind, careened his career into forays in Eastern Mysticism. A thorny path, which led to him earning the first-ever awarded Cease and Desist Order, from his grade 8 Boarding School headmaster–for convening groups, for the “insidious purpose of teaching Yogi Philosophy”. That was shortly after Nelson Mandela was imprisoned. Jean’s search for the Three Wise Men from the East continued, for no less than a further thirty years. A path that, as painful as it sounds, included a three-year Diploma in Theology from a seminary college, and an Honours BA degree in World Religions, from a university world-famous for its Department of Engineering. Identifying with the underdog, Jean and his soul-mate Adéle, founded several charitable programmes to serve women and children in need of care and intervention. The first program, a children’s home in the slums of Johannesburg South Africa, started in 1990. They are still at it, serving on boards of charities and starting programmes in Canada and in South East Asia. Jean’s career as author was launched at age eight, when he was awarded the Gold Star Award by his English Language teacher, for a forty-four-word essay on The Three Wise Men from the East. That gold star, fuels Jean’s passion for writing not only creative work, but tomes of deeply boring, academic work of the theologician kind. Jean did finally find the Three Wise Men from the East. However, not before many years of studies in Buddhism, the Upanishads, Hinduism, Bhagavad Gita and other Vedic Scriptures were exhausted. Well, truth be told, he did not find them because of any studies, but just happened upon them–on a study-visit to North India. Notwithstanding, Jean and Adele are still married. They now live in Canada and in Cambodia. Jean was Senior Editor of the first English-language edition of The Eastern Bible in the mid-90s, now available on Amazon as The Eastern Bible: 2012 Edition. Jean serves as editor-in-chief of team Salvar Dàosenglu, which is responsible for authoritative works produced by the International Association of Wayist Organizations. His team works on a series that explicates Wayism’s primary text, making it more accessible, and available in a variety of text and electronic formats. He published several other works, among them the Best Seller (it sold more than 12 copies at last count, better than any other he wrote), Universal Gateway of Enlightenment, and the CSCi series aimed at the mid-grade reader. He presents seminars in spirituality in North America and in Cambodia. As a professional Wayist coach and spiritual leader, his work reflects his wide learning, deep life experience and an extraordinary grasp of the mystical traditions. Jean du Plessis is a professional in the field of spirituality–a pneumatologist, as he likes to label his passion. He works as a writer, teacher, coach, and counselor in pneumatology. Not only does he write books, articles, blogs and training courses; Jean also collaborates on other publications as editor, co-author, and co-worker on hundreds of web pages. His academic training includes Christian seminary studies and a degree in Biblical Studies and World Religions. 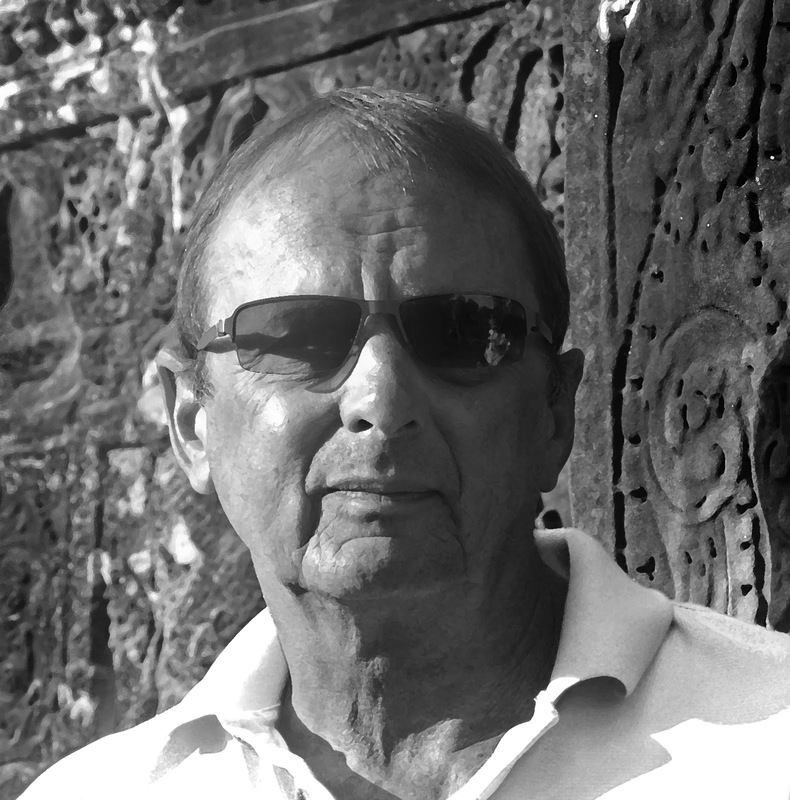 Born and raised in South Africa, Jean now lives in Ontario, Canada and Siem Reap, Cambodia (5km from Angkor Wat) where he conducts spiritual tours, advanced training in spirituality, and seminars. Not too long ago, Jean held office as an ordained minister of religion in the ancient Church of the East. Wayist ordination to spiritual office effects a change of name for matters related to the discipline. His ordained name became +Yajn in 1996, when he took office of Acharya, bestowed on him by his teacher +Yusa, in Northern India. He was initiated in the Wayist Sacred Sensuality tradition, in the esoteric lineage of Magadhalene in 2000. In this capacity, +Yajn is instrumental in training of spiritual leaders. Jean and his wife Adele, co-founded several charities and serve on the Boards of several not-for-profit organizations. Jean has been a prolific writer of Wayist material over the past thirteen years. He was the senior editor of the first English-language edition of The Eastern Bible in the mid-90s, now available on Amazon as The Eastern Bible: 2012 Edition. Jean serves as editor-in-chief of team Salvar Dàosenglu, which is responsible for authoritative works produced by the International Association of Wayist Organizations. His team works on a series that explicates Wayism’s primary text, making it more accessible and available in a variety of text and electronic formats. His seminars and workshops are presented, in addition to North American venues, also in the Caribbean and in Cambodia. As a professional Wayist coach and spiritual leader, his work reflects his wide learning, deep life experience and an extraordinary grasp of the mystical traditions. You can follow him on Twitter @wayistcoach, facebook.com/author.teacher, and wayism.net/jean-du-plessis.